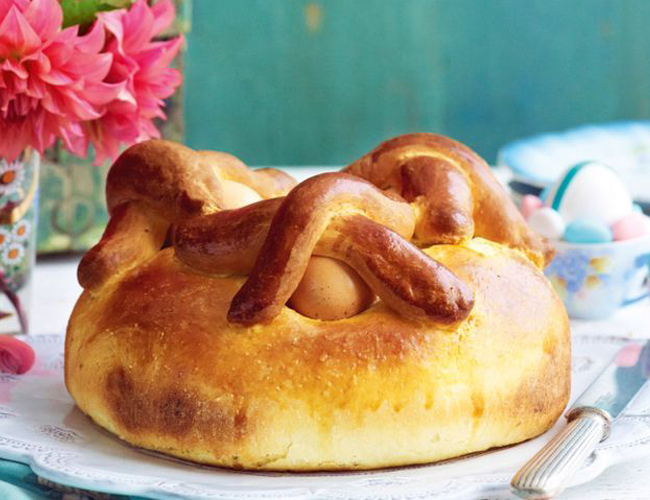 As March approaches a certain air of serenity begins to hover over Portugal & inhabitants make preparations to celebrate Easter with great devotion & enthusiasm. Portugal being a Catholic nation has its own unique & remarkable way of observing & commemorating easter holidays. The religious & traditional heritage followed by unique local celebrations makes this an ideal time to visit Portugal. No wonder people from across the globe are looking for ways to get their Portugal Schengen Visa materialized so as to partake in easter celebration of Portugal. A Visa To Portugal can sanction you to witness & participate in Best Easter Celebration of Portugal. Check Portugal Visa Documents Requirements & apply Online Portugal Visa today. Portugal in March & April is defined by tranquility of fasting, penitence & prayers. The natives poise & prepare themselves to observe Easter Sunday in an utmost meek & submissive manner. 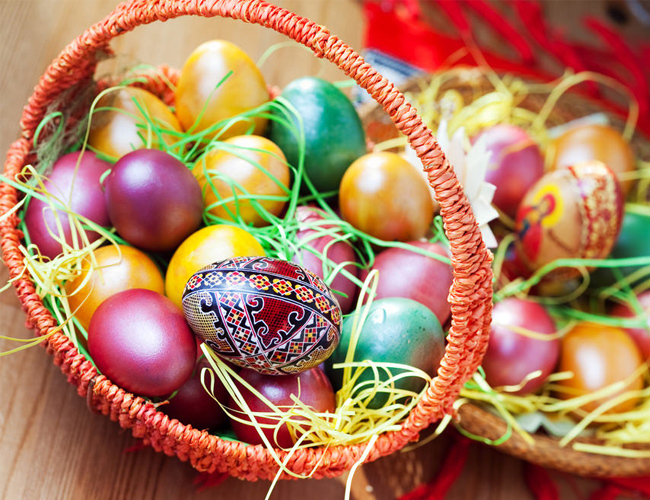 The orientation & inclination adapted by the inhabitants radiate their devotion towards Easter celebrations. Portugal Easter festival is preceded by Lent, a time of fasting & repentance, which begins on Ash Wednesday & lasts for 40 days. During the Lent Days, native abstain from consuming meat & prefer feeding on a plate of codfish & vegetables at dinner. 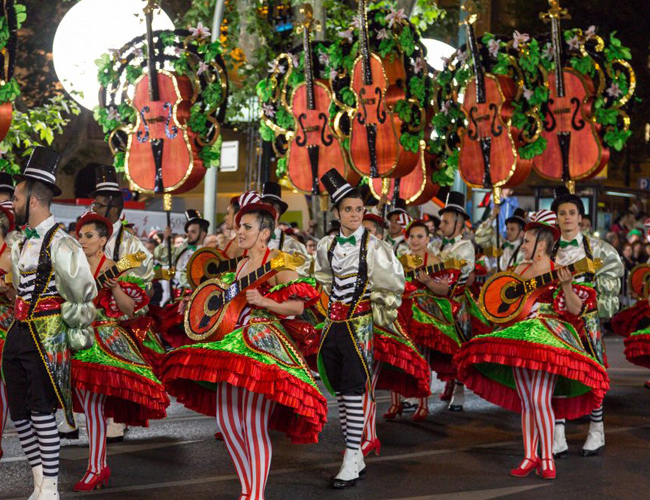 The major Easter celebrations in Portugal kick start during the Holy Week, a week before Easter. 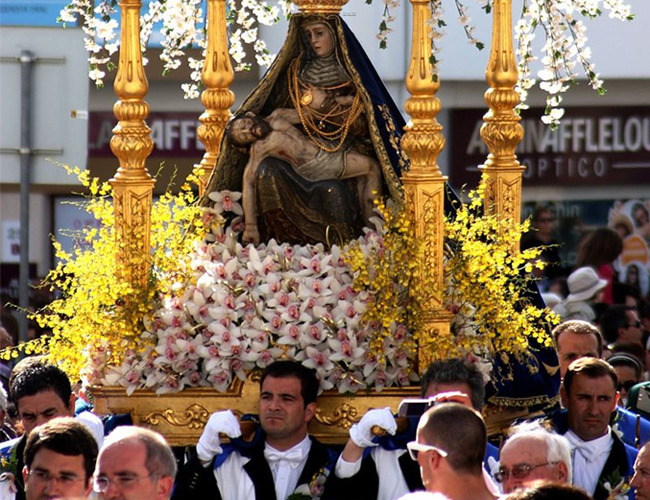 All through the Holy Week (or Semana Santa) several processions are held across the country. One of the most important days of the Holy Week is Good Friday. People customarily observe fast from meat & cast their minds back to Jesus’ sacrifice for his people. Some of the most iconic Easter celebrations are held in Braga, a splendid Northern Portuguese City. 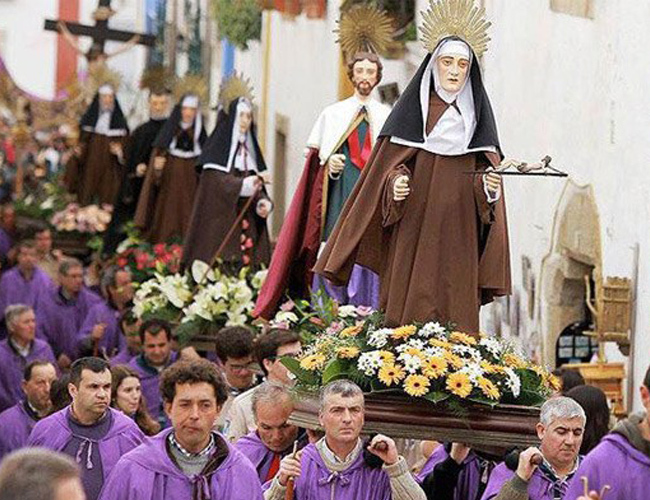 A series of after dark processions associated with Portugal Easter Festival includes Maundy Thursday (locally known as Senhor da Cana Verde), Good Friday Burial Procession of Lord Jesus Christ, which is led by barefoot repentant in hooded tunics. On the morning of the Easter Eve, shepherds of Castelo de Vide region invade the centre of Braga town with their flock of sheep in order to have them blessed. 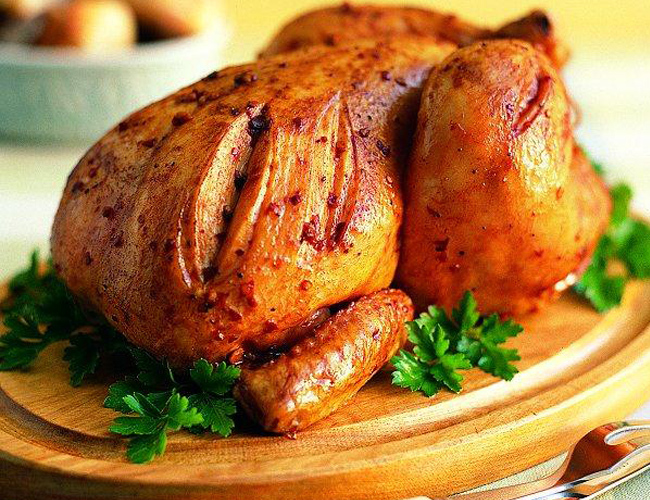 Easter is an ideal time to savor delectable Portuguese cuisines like roast kid, lamb stew, meatballs, bun, chocolate & almond eggs. Obidos is an astounding & picturesque medieval town located just 50 miles north of Lisbon, the capital of Portugal. With its narrow streets & white-colored houses, it holds some of the laudable Holy Week celebrations. The main highlights of the Easter celebrations are marked by the two torchlight processions, concerts & recreations that engage town residents & visitors. 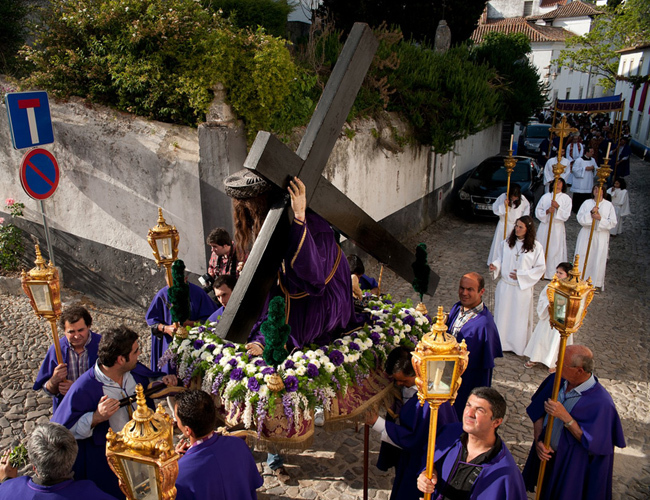 Easter celebrations in São Brás de Alportel are marked by the processions representing the Resurrection of Christ. 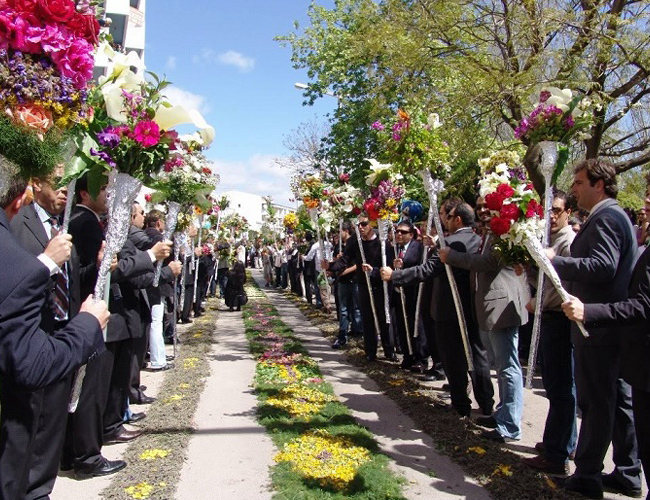 During the procession, huge torches festooned with flowers are carried by men leading the way on Easter. The renowned Alleluia festival kick-starts at 10 am & the sound of “He is risen as He has said – Alleluia, Alleluia” fill the air as the procession goes round the town. Other traditional foods consumed on Portugal Easter Festival include unique pine & almonds nuts that have been home-made by a family in São Brás de Alportel for over a period of 100 years. Easter Sunday is hallowed & honored by all the people of the nation where the religious & the pagan come together in harmony & celebrate this day with solemn & joy. This entry was posted in Portugal Travel and tagged Apply Online Portugal Visa, Best Easter Celebration, easter celebration, easter holidays, Easter in Lisbon, Easter in Portugal, Easter in Portugal 2018, Easter Sunday, easter weekend, holidays in northern Portugal, Online Portugal Visa, Places to visit in Portugal, Portugal Easter festival, Portugal in march & April, Portugal Schengen Visa, Portugal Visa, Portugal Visa Application Form, Portugal Visa Charges, Portugal Visa Documents Requirements, Portugal Visa Fees, Portugal Visa From UK, Portugal Visa Online, Portugal Visa Online Application, Portugal Visa Service, Portugal Visa UK, Visa For Portugal, Visa To Portugal by portugalvisa. Bookmark the permalink.